It’s easy to jump all over Mark Meadows, the senator from North Carolina. He tried his best to defend Donald Trump as a non-racist. But before you condemn Senator Meadows, look at yourself. I did. Hi, everyone. 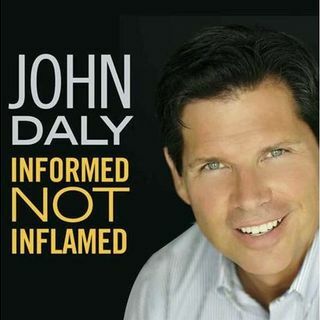 John Daly here with a little informed not inflamed. Thanks for tuning in. I actually think he was genuine -- while also being very partisan. Here’s the rule he didn’t understand. If you’re trying to explain away racism, then you most likely are a racist. Here’s the reality in the ... See More United States. If you are a white American, you are most likely racist -- in someway. Does that include me? Absolutely. And I’ll give you an instance where I realized I had the typical American racism. No I don’t use the N-word. And no I don’t ignore people of color. I have lived in neighborhoods with black and Hispanic neighbors.